One of my favorite cookies to make are snowball cookies. There is just something magical about a cookie coated in powdered sugar that I find impossible to resist. Snowball cookies are incredibly easy to make and a favorite with my boys. 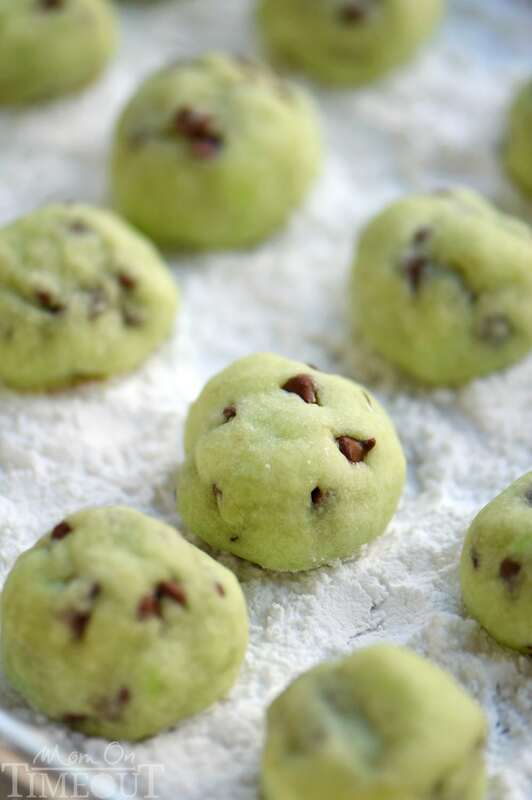 We have made all sorts of snowballs over the years, including peppermint and key lime, but these Mint Chocolate Chip Snowball Cookies always steal the show. When I say that I have the hardest time trying to keep my kid’s hands out of the bowl, please know I am being so serious. Who can blame them? 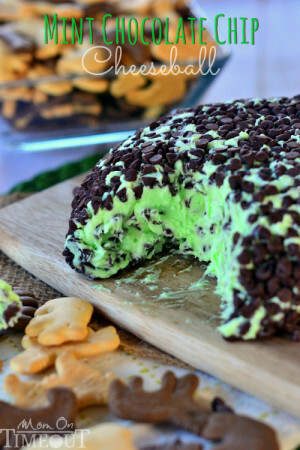 The cookie dough looks just like mint chip ice cream. I like to make my snowball cookies fairly small – pretty much bite size. Due to the size of the cookies, I opted for mini chocolate chips. They fit quite nicely in these bite-sized cookies. After baking the cookies get transferred to a powdered sugar-line baking sheet to cool. I give them a nice coating of powdered sugar using my OXO dusting wand. If you don’t have one of these, buy one, now. They are AMAZING. Once completely cooled, the cookies get rolled in even more powdered sugar, I know, it’s awesome. If you’re feeling up to it, a double-coat of powdered sugar will give your snowballs an extra bright white exterior. So fun! I used a little bit of green gel food color to get this nice light green. 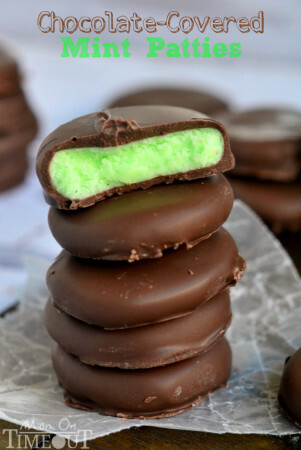 If you prefer not to use food color, that is totally okay too. 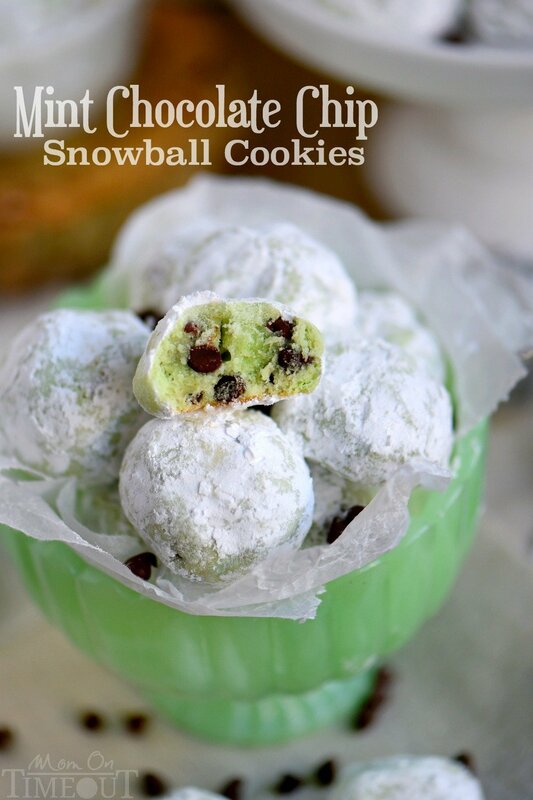 Melt in your mouth Mint Chocolate Chip Snowball Cookies are a treat you won't be able to resist! 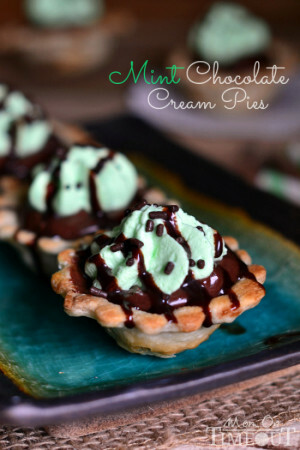 So easy to make and packed with mint and chocolate flavor - no one can eat just one! Perfect for St. Patrick's Day, Easter, Christmas and more! Add the green food color a few drops at a time until your desired color is achieved. I like to use this gel food color. Scoop out one tablespoon of dough at a time and form into a ball. Place balls on the prepared cookie sheet. Bake cookies for 7 to 8 minutes. You do not want the cookies to get more than very lightly browned on the bottom. Let cool for 5 minutes on the cookie sheet. Line another large baking sheet with parchment paper and dust liberally with powdered sugar. Place the slightly cooled cookies on this baking sheet and dust with additional powdered sugar. Fill a small bowl halfway with powdered sugar. Drop cookies one at a time into the bowl and turn until coated in powdered sugar. Store leftovers in an airtight container for up to four days. 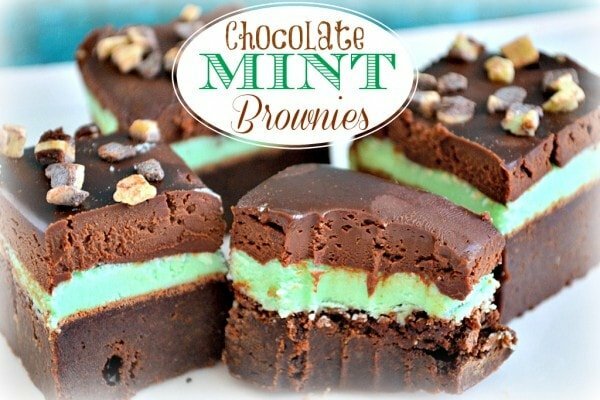 Love the mint chocolate chip combo! 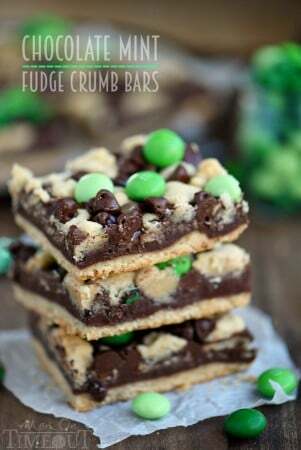 These cookies would disappear in a hurry at our house! 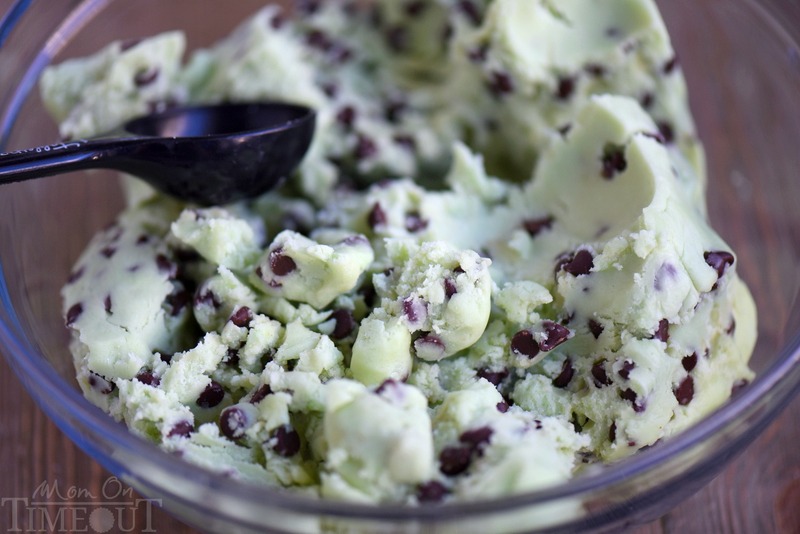 i love mint chocolate chip snowball cookies you updated regularly new cookies thanks for sharing i love cookies..